you only need three spells for this to be above average. Seems doable, but similar cards have not made the cut. Still: they might if there are enough cards with this type of effect. Slightly better than Midnight Drake because of the health. You'd need 2 spells minimum and in most cases 3 or more in hand for this to be a reasonable play. Not sure if good, likely not. Don't see how it is better than Twilight Drake on average. Miracle Mage (and/or Miracle Priest) will very likely be a thing, and it's going to love a minion like this. 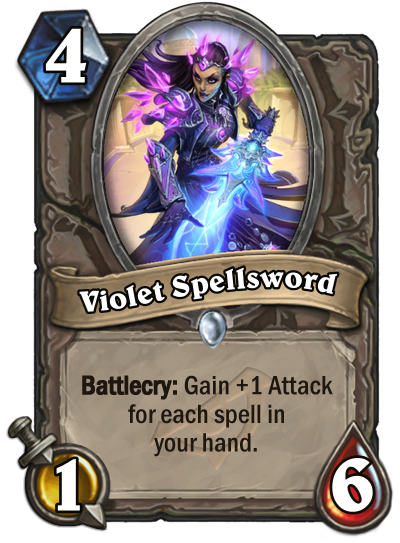 This will be abused heavily in decks with many spells.